Attention Teachers! While you are sitting outside enjoying your summer, please give some thought to bringing your class to the Rialto Square Theatre next fall. Thanks to a generous donation by Midland States Bank the Rialto has a Children’s Matinee Series designed just to meet your needs and hopefully make your life easier! Each show meets the Illinois State Standards for Education. There is a teacher’s guide for each show that you can use to seamlessly add the show into your curriculum. The first show is I am Jack. This is a perfect show to end October/Anti-bullying month. Jack is a smart, funny, 11 year old boy who’s being badly bullied at school. What starts as an off-the-cuff joke during a handball competition soon turns into a set of circumstances whereby Jack is no longer safe on the playground. But with the use of self-expression through photography, Jack begins to make sense of his world, of his relationships with others, and most importantly, with himself. This excellent one-man show explores the often-overlooked insidious taunting and teasing that bullies are so adept at inflicting on their victims and the roles that family and schools can play in responding to this topic. Jack takes us on a touching and sometimes comical journey as he moves from victim to victor. Internationally acclaimed magician and educator, Bradley Fields, captivates students with his magic illusions, and turns them on to the history, the power and the beauty of the language of math! 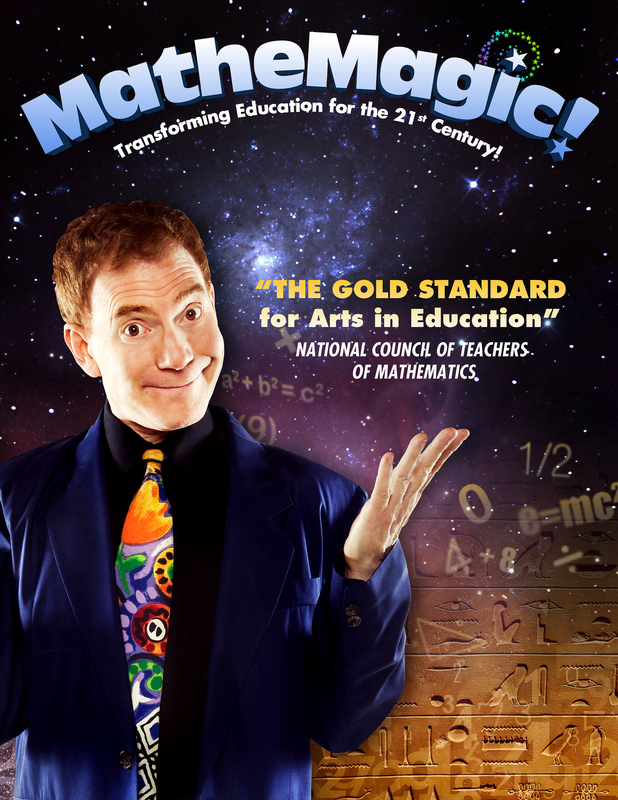 With large multimedia projections, stage illusions, comedy, and audience interaction, MatheMagic!® promotes math skills and problem solving through visuals, history, language, and world-class entertainment. Kids travel back to ancient times and meet Imhotep the Magician, (whose secret was really math), Zeno (whose paradoxes inspired Newton) and, of course Pythagoras and his famous theorem. By integrating math concepts with vocabulary, geography, history, and everyday problem-solving, students of different interests, abilities and learning styles are able to relate to math in new ways. Now that JUNIE B. JONES has been going to school for over one-and-a-half years, who better to write the book on EVERYTHING you need to know? 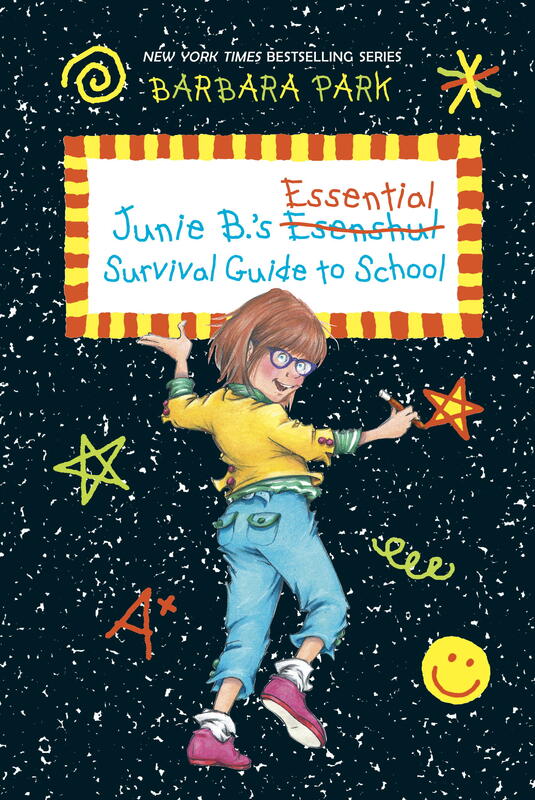 From bus rules to band-aids, carpools to cookies, Junie B. and friends deliver the definitive word on surviving and thriving in style. With a jillion tips, tricks and trip-ups, Junie B. shares her hard-won expertise and shows us all how school is sometimes scary, sometimes super-fun, and ALWAYS something to sing about! An all-new musical adventure based on Barbara Park’s popular book. A Holiday classic returns with a musical combining the funniest – and most touching – part of the Dickens’ classic with witty dialogue. The Super Scientific Circus starring Mr. Fish and Trent the Mime, proves that science can be fun and funny. Alternately assisted and foiled by the comedic antics of Trent the Mime, Mr. 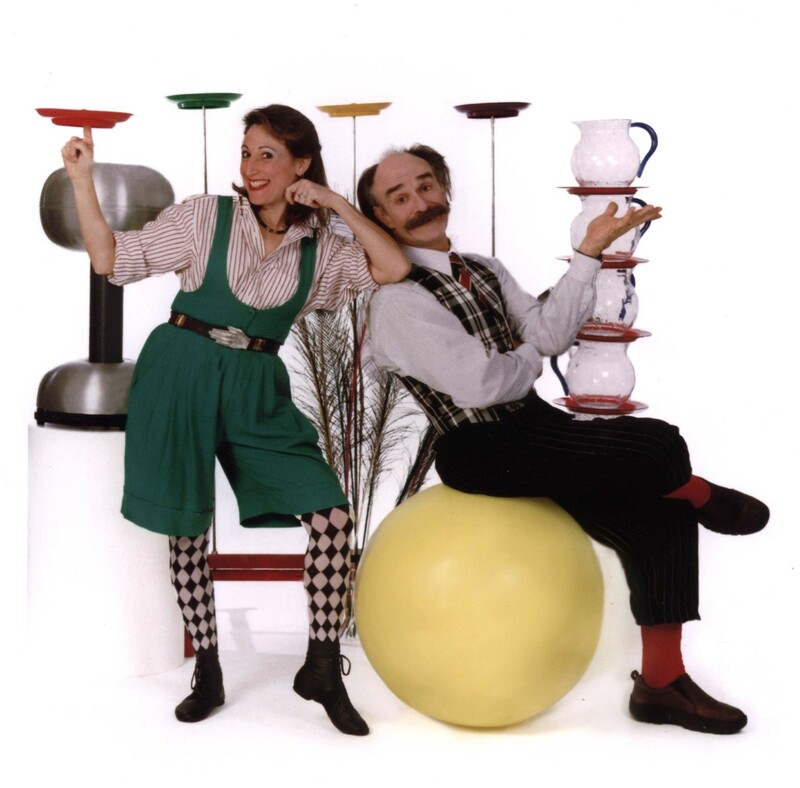 Fish uses amazing circus skills imvolving boomerangs, bubbles, beach balls, bull whips, and magic to introduce the principles of friction, inertia, centripetal force, aerodynamics, sonic booms, air pressure, and ultraviolet light. 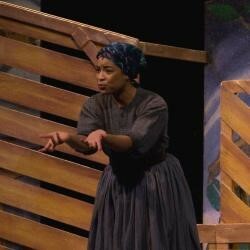 Commemorate Black History Month at The Rialto with this inspiring production. This classic is a tribute to the great American who freed herself and hundreds of her people from the bonds of slavery. As Harriet and her friend Sarah Bradford, narrate her adventurous life, we share in the joys, sorrows, and challenges faced by this brave woman who changed the world through her courage. 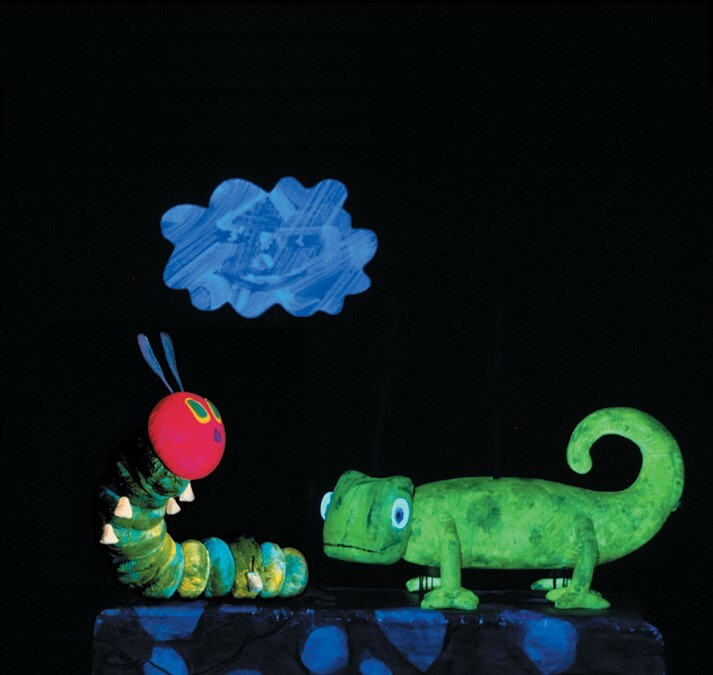 THE VERY HUNGRY CATERPILLAR AND OTHER FAVOURITES includes the story of THE VERY HUNGRY CATERPILLAR’s metamorphosis into a beautiful butterfly; the fanciful account of LITTLE CLOUD’s travels through the sky; and THE MIXED-UP CHAMELEON’s discovery of his own unique nature. Directed and designed by Jim Morrow, who ranks among Canada’s most esteemed puppetry creators, the triple-bill show incorporates evocative original music by Nova Scotian composer Steven Naylor, and innovative “black light” staging techniques which highlight Morrow’s stunning puppets and props. The work follows closely the books from which they are adapted, providing a new generation with a seamless entry into the world of theatre and music. If you are interested in any of these shows please contact the Rialto Box Office at 815-726-6600. If you book before August 1st you will receive a discount of $1.00 off per ticket. So your tickets will only be $5.00 if you purchased the early bird tickets. This entry was posted in Uncategorized and tagged #achristmascarol, #blackhistory, #blackhistorymonth, #education #teacher #teachers #summer #summerreadinglist #iamjack, #ericcarle, #fieldtrips, #fieldtripsforstudents, #junieb, #juniebsesentialsurvivalguidetoschool, #mathemagic!, #rialto, #rialtoschoolmatineeseries, #rialtosquaretheatre, #schoolfieldtrips, #schoolmatineeseries, #superscientificcircus, #teachervacation, #theater, #theatreforchildren, #vacationforteachers, #veryhungrycaterpillar, children. Bookmark the permalink.